Our videographer teams are highly experienced and we use only the very best equipment. We produce & record video content, provide professional post-production editing, and deliver a finished product. A typical production is shot with 6 cameras and during the editing process we select the best four angles throughout the video to sync and upload into the portal. 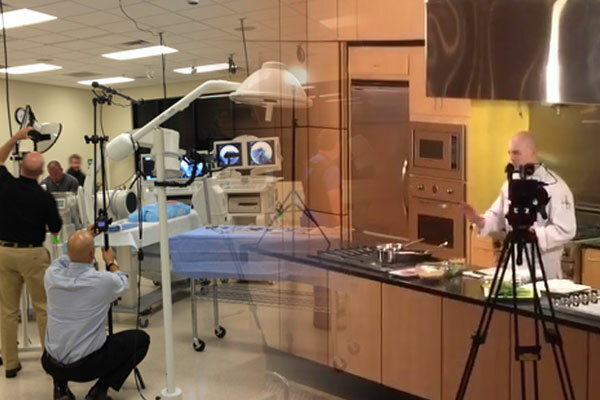 Our compact, non-intrusive camera equipment is ideal for capturing intimate detail for procedural videos, product demonstrations, training procedures, etc. 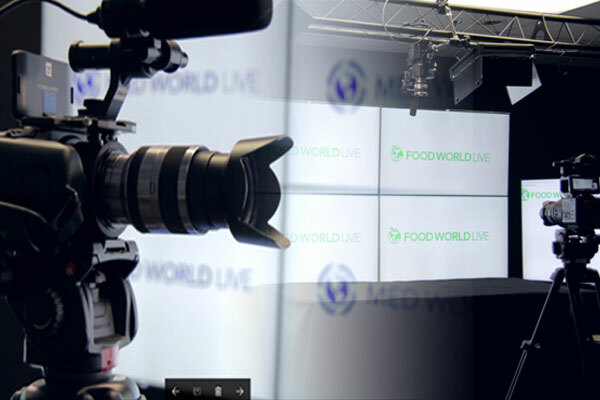 We also have the capability to record large-scale events with full production teams utilizing high-end commercial grade equipment. When a custom location is required/desired for a production, our fully-equipped professional film crews travel to any desired location, providing a full turn-key solution. Our teams have extensive experience in a variety of environments and are fully credentialed for access to hospital facilities as needed. We have multiple partnerships that allow us access to shoot in specialty settings such as professional kitchen studios. 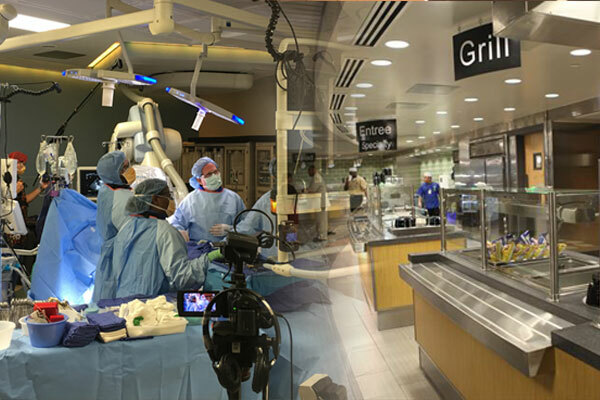 This option provides flexibility when a specialty setting is needed, We coordinate and provide all neccessary equipment for a full on-site production based on the needs for each individual video shoot. Our customers have the option to submit existing video content or record their own new videos to include in the portal. We provide recommended camera packages, video shooting instruction, and camera set-up training. When recording is completed, you simply send us your video footage. The options to send footage include mailing SD cards, hard drives or via secured internet transfer sites. Our technology team edits, syncs and delivers a final product.